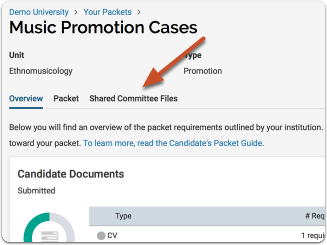 The committee reviewing your case may share files for you to review. 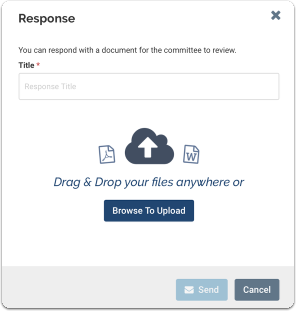 The committee may also allow you to respond to the shared files in writing, and may set a date when the response is due. The most common scenario is when the committee has made a decision about a candidate and gives the candidate the opportunity to respond. 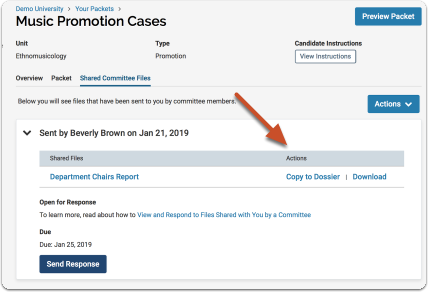 However, there may be other circumstances when the committee or administrative personnel require the candidate to view materials from the case packet. 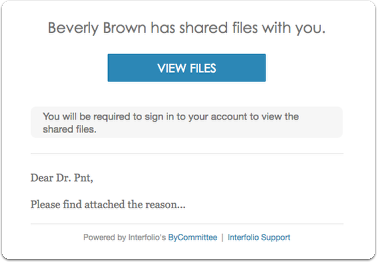 You will see an action item indicating that a file has been shared and an indication if a shared file is open for a response. 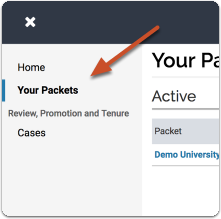 You can click your name to view the packet. 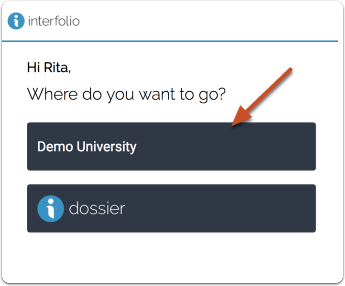 You can download the file, or copy it to your Dossier where it will appear in your Dossier materials. 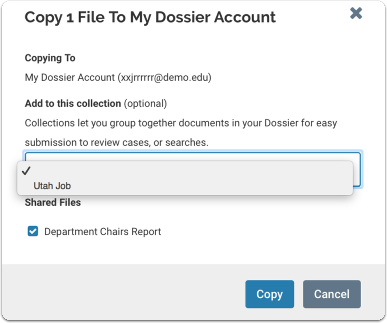 If you click "Copy to Dossier," you will have the option to add the file directly to a collection of materials (if you have any collections available). 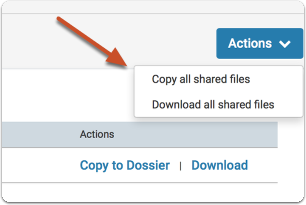 You can also click the "Actions" button to the right of the page to copy or download all shared files. 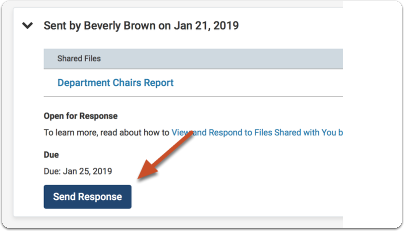 If you are allowed to respond to the content of the file, you will see a link labeled "Send Response," and a due date for when your response is due. Please Note: This is a hard deadline, and you cannot respond to shared files after the due date.